If you've ever had a satisfying piece of beef jerky, then you know how successful dehydrating beef can be. Making your own beef jerky at home is easy. Just choose the kind of meat that you like, and by pounding it out to thin strips, you can dehydrate the meat so that it dries thoroughly. Season it with some pepper and spices, and you'll have your own personal brand of inexpensive beef jerky. You may not immediately think of vegetables when deciding what to dehydrate. 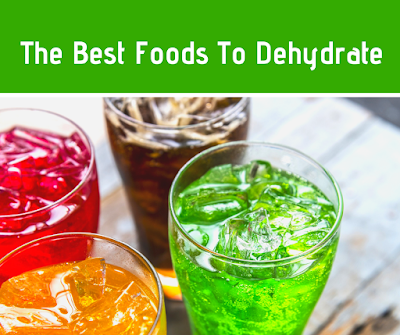 However, low moisture vegetables like carrots and peas can be dehydrated. This is a great way to save your backyard garden harvest in a particularly bountiful year. If you dehydrate in the fall, you'll have vegetables for muffins, breads, soups and stews throughout the winter. If you have your own herb garden, then you know how much bay leaf, rosemary, oregano or mint can perk up a dish. While fresh herbs are best, you can use your dehydrator to make bottles of your own dried herbs to save you a trip to the grocery store when your herb plants aren't producing. Just make sure to put different herbs and spices on different racks, keep them separate and label them so as not to mix them. Do you have a few loaves of bread that might be getting close to staleness? Cube the bread and pop it into the dehydrator with some garlic and parsley. The dehydrator will remove all of the moisture from the bread, leaving you with delicious croutons to sprinkle over your salad.